Take the time to relax and unwind in our custom designed Traditional Sauna. We offer 30/60 minute private sessions for $20/$40, and you can add up to 7 additional guests to your session for only $15 per person ($10 if you are a sauna member!). Traditional Sauna’s increase your heart rate and cause blood vessels to widen increasing circulation. Improved circulation can help alleviate pain, reduce stress levels, improve cardiovascular health, lower the risk for Alzheimer’s, boost your immune system and even offer relief for those who suffer from asthma. "Sauna bathing is an activity used for the purposes of pleasure, wellness, and relaxation. 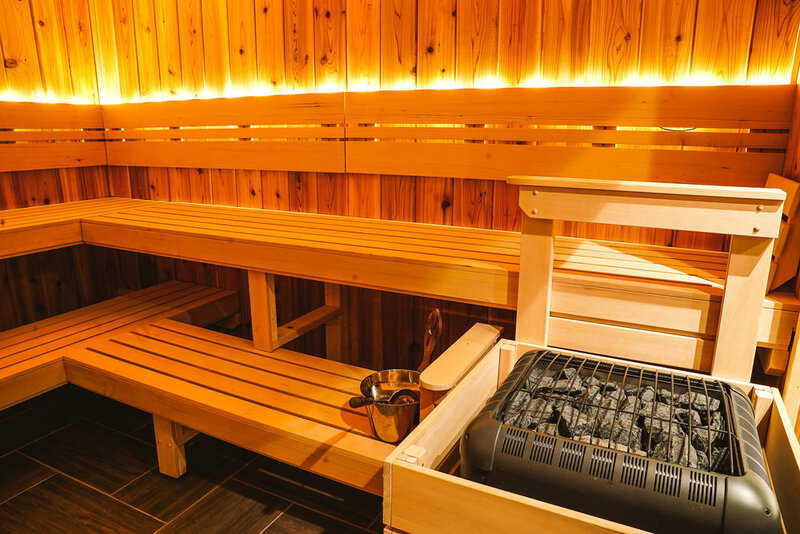 Emerging evidence suggests that beyond its use for pleasure, sauna bathing may be linked to several health benefits. A new report published in Mayo Clinic Proceedings found that sauna bathing is associated with a reduction in the risk of vascular diseases, such as high blood pressure and cardiovascular disease, neurocognitive diseases, nonvascular conditions, such as pulmonary diseases, mental health disorders, and mortality. Furthermore, sauna bathing alleviated conditions such as skin diseases, arthritis, headache, and flu. The evidence also suggests that regular sauna baths are associated with a better health-related quality of life"
We offer 30 Minute and 60 Minute Signature Sauna Memberships. Bergamot Massage’s 30/60 Minute Sauna Membership costs $20/$40 per month.